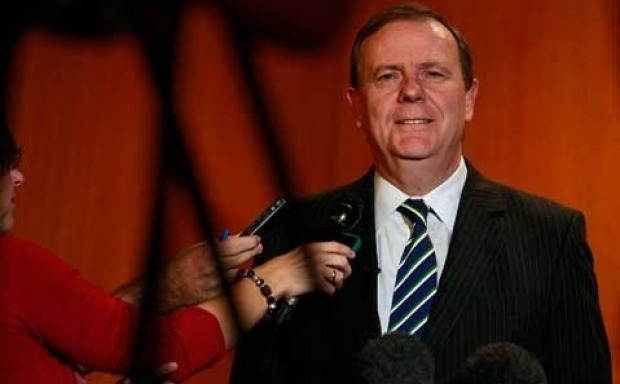 The government sounds pleased about the first big result of its media merger laws. 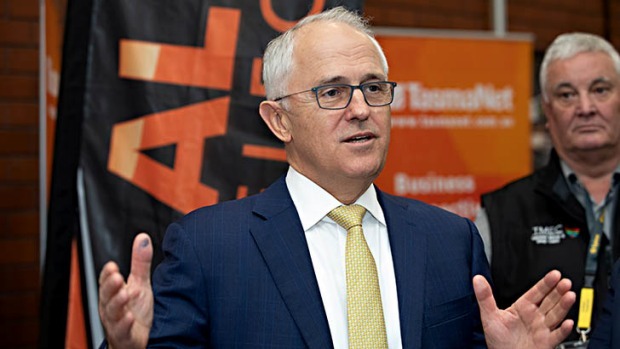 Malcolm Turnbull says the proposed “merger” of Fairfax Media with Nine will strengthen both in TV, online and print journalism. “I think bringing them together enables two strong Australian brands with great, very long traditions to be able to be more secure. So on that basis, I welcome it,” the Prime Minister declared. The market is somewhat reassured, at least in terms of what it means for Fairfax shareholders,with the Fairfax share price closing up nearly 9 per cent even as Nine’s fell by more than 10 per cent. But the chief executives and boards of both organisations sound effusively enthusiastic about the prospect of creating a stronger media competitor with greater “optionality”. According to Hugh Marks, Nine CEO and future CEO of the combined businesses, it’s good news for advertisers, audiences and employees alike. He tells The Australian Financial Review that “content will continue to be at the heart of this organisation”. 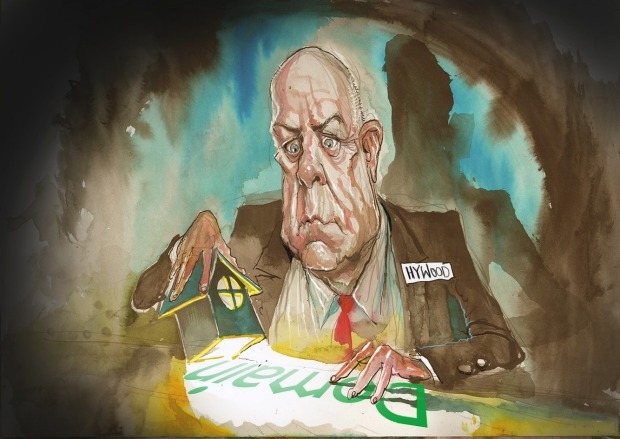 For Greg Hywood, the Fairfax CEO scheduled to become surplus to requirements, the proposal reflects the success of the company’s transformation strategy, including investments in high-growth businesses like Domain and Stan, while ensuring “the continuation of quality journalism”. And despite an inquiry by the Australian Consumer and Competition Commission, the dealmakers sound relaxed about regulatory approval for what is in effect Nine’s takeover of Fairfax. Nine and Fairfax … no longer ships that pass in the night. “Certainly, on our analysis … we feel confident that this is a transaction that should proceed,” Marks told analysts. So why the dismayed apprehension of so many journalists, particularly at Fairfax mastheads like The Sydney Morning Herald, The Age and The Australian Financial Review? Of course, this is partly due to nostalgia for a vanished era when such newspapers dominated their local markets via hugely profitable advertising dollars and unchallenged ownership of their mass audiences. That era is obviously dead and buried, if not quite cremated, under the onslaught of digital competition which only ever accelerates. That’s clearly a global phenomenon. For Greg Hywood, the Fairfax CEO scheduled to become surplus to requirements, the proposal reflects the success of the company’s transformation strategy. 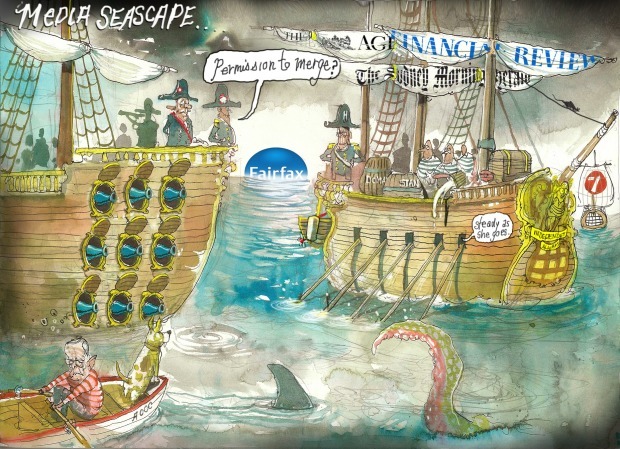 But scepticism about the potential impact is more than just typical journalistic cynicism about corporate promises or a blind refusal to accept the necessity of change or the disappearance of the Fairfax name. Or even Paul Keating’s trademark condemnation of this as an “exceptionally bad” deal. It’s also because journalists at Fairfax have been buffeted by years of shifting strategies, usually accompanied by big job cuts, as management struggled to adjust to new forms of competition and new audience demands. For some years, for example, digital advertising was promoted as the commercial saviour of dying newspapers, downgrading print in expectation of an entirely digital future. That translated into attempts to maximise clicks and “likes” with new, younger audiences rather than relying on their traditional readership or their familiar blend of quality news and analysis. As Citi analysts noted in reaction to the announcement: “Domain is the main game, not newspapers”. This didn’t go according to plan, as Google and Facebook instead gobbled up the vast majority of the digital advertising revenue, and print advertising, though steadily diminishing, proved more durable than anticipated. Not that Fairfax was alone in its dilemma in how to “monetise” the value of its audiences. Indeed, the company successfully survived by finding new routes to making money. The standout was its investment in its now partly spun-off real estate business, Domain, where it maintains a 60 per cent stake. Further exploitation of that relationship – as well as their jointly owned video-streaming business Stan – is obviously of great interest to Nine, which has also benefited from recent increases in television advertising revenue. But more recently, there’s been a belated corporate appreciation at Fairfax that continuing to cut journalism, and journalistic costs, risks further undermining the commercial appeal to advertisers. The Financial Review, for example, has shown itself determined to reassert its distinctive identity in business media leadership after being temporarily partially integrated with the different business readerships of The Age and the SMH. The fear now among some in Fairfax ranks is that recognition of the value of independent quality journalism will become subsumed in a company more focused on businesses like Domain and Stan and in integrating their advertising with Nine’s multiple platforms. “In our view the transaction takes advantage of NEC’s elevated valuation to acquire a controlling stake in a high-growth asset (DHG) and the rationale of combining TV and newspaper assets is secondary,” they concluded. Marks concedes there won’t be a lot of revenue growth from the traditional advertising relationships but says that he is confident that advertising revenue will benefit from the ability to offer multiple platforms. He will also be happy, he says, for the different mastheads to continue to “do their own thing” in terms of growing their different audiences and their own particular appeal and audience engagement. And he still sees a future for print given the obvious interest in a more “tactile” experience by a proportion of readers, backed by growth in digital subscriptions. “So there are good signs,” he say. “It’s obviously harder in a smaller market. Content is expensive and the cost of creating it is not that different in bigger markets but the size of the market is. With a once proud name due to disappear, Fairfax journalists – and their readers – can only hope he’s right.